Burbank Sunrise is a proud supporter of Wellness Works and Not On Our Watch 2017! 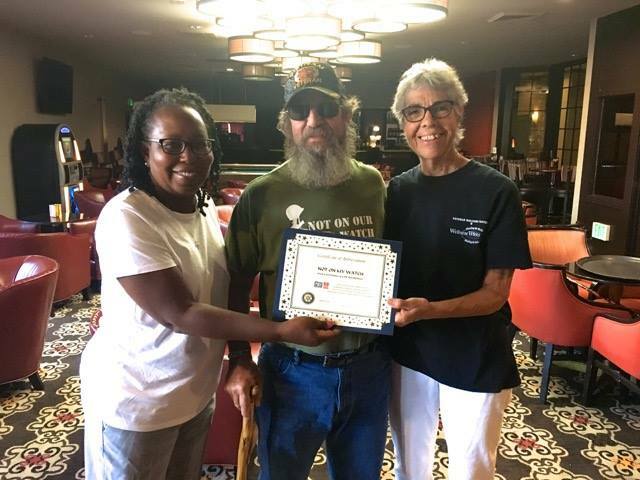 Not On Our Watch brings awareness to the community of the veterans who lose their battle with PTSD. From September 20th through the 23rd, Veterans stood watch on the Colorado Bridge in Pasadena, 24 hours a day. As veterans stood or walked posts on the bridge, they wore a dog tag that represented a veteran who was being remembered/honored. Club members made donations and attended the opening ceremony. One of our veteran members, Juan Guillen, participated in the vigil. On September 20th, the opening ceremony will begin at 10am. On September 23rd, the closing ceremony will begin at 10am where we honor all our fallen.